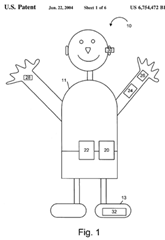 Microsoft received its 10,000th U.S. patent earlier this month. This makes Microsoft one of the leading patent filers, though IBM still files the most patents and in 2008 became the first company to issue 4,000 patents in a single year. “Logging the 10,000th patent really is a testament to all of the innovation that has been taking place,” said Microsoft chief patent counsel Bart Eppenauer. Although Microsoft maintains its patents are mostly for defense, its huge patent portfolio hasn’t kept it out of the courtroom. The number of patent lawsuits filed against Microsoft has actually increased significantly in the past few years. “That increase has come almost entirely from entities that do not produce products,” Eppenauer said. Most of the patent suits come from “patent trolls” whose primary business function is acquiring patents and suing for royalties. In those cases, having a large patent collection is of little use since the patent troll has no products of its own for which it can be countersued. But Microsoft’s patent portfolio has other uses such as licensing its technology to companies such as Novell or bullying Linux. Microsoft’ has become so prolific filing patents that it dedicated a staff of 100 people including 40 attorneys that focus solely on the 2500-3000 U.S. patent applications the company files each year. This news bodes poorly for independent software vendors, for whom it is nearly impossible to create original software without violating literally thousands of patents. Microsoft one of the leading patent filers, though IBM still files gives us a very big help. This makes our widens our life span. that is something we should really be grateful. Wow, 10,000 patents! I am still working on my first. I don’t know if this makes me like Microsoft more or less, or if it’s just part of how the business world works at this point.